One of the most famous Russian-speaking hackers, Sergey Pavlovich, the citizen of Belarus, was charged in 2008 for stealing credit card data from TJ Maxx, Barnes & Noble, Forever 21, and other major U.S. retail stores. His book, How to Steal a Million, is now available in English. 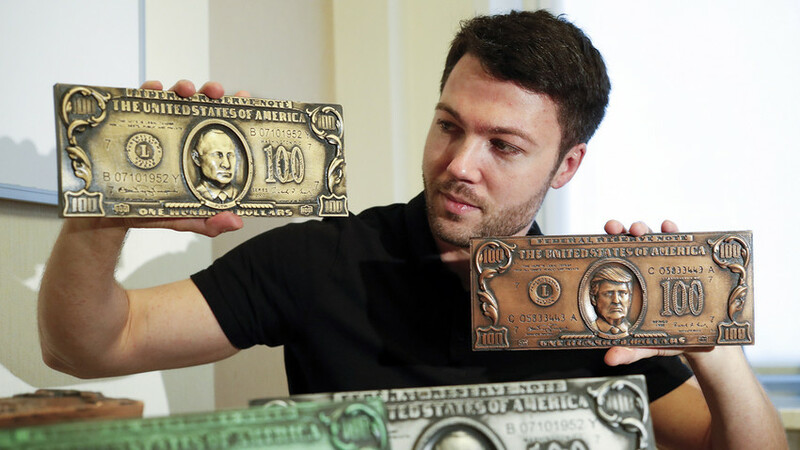 Sergey Pavlovich, one of the 11 hackers charged with “the largest personal data theft in the history of the U.S.” is now living the quiet life of a respectable entrepreneur, building his e-commerce business selling handmade money-boxes in the form of the U.S. dollar. He also published a book about his cybercrimes and punishment. “Almost 200 people approached me on social networks after my book came out to say that it helped them avoid turning to crime,” Pavlovich told Russia Beyond. In the time period described in the book the number of registered users on the largest carder forum didn't exceed 6,000. Today, Darknet Marketplaces has over 2 million online members. Pavlovich is originally from Minsk, the capital of Belarus, a former Soviet republic. By the time he was jailed at the age of 21, he was already a millionaire, making $100,000 per month stealing credit card information from U.S. consumers. After pilfering the data, Pavlovich and other criminals stored it in an encrypted format on servers in Eastern Europe and the U.S., and then sold it in those countries. Credit card numbers were typically imprinted onto blank cards, and then used to withdraw tens of thousands of dollars from ATMs. Eventually, Pavlovich received 10 years in prison in Belarus for his cybercrimes. “One should take into account that Sergei Pavlovich grew up at the time of the collapse of the USSR. Therefore, his formative years were influenced by chaos in the country, financial instability and a striving to survive by any means, his lawyer, Arkady Bukh, wrote in a review of the book. “Since the majority of people after the collapse of Soviet Union were impoverished, young people desperately wanted a 'new life,' and they became heavily involved in hacking and carding,” Bukh added. In prison, Pavlovich discovered a new line of work - consulting for U.S. businesses and helping them secure data from hackers just like himself. Two and a half years ago he left prison and now lives in Moscow. He is a strong supporter of blockchain and believes it can provide an opportunity to build secure networks that are protected both from hackers and authorities. Pavlovich also believes that it can provide a platform for elections, but the technology needs to be perfected. To date, hackers have already stolen around $1 billion from crypto-exchanges. Pavlovich's on-line business now has eight employees, and he says that legal work is much more difficult than crime. “I work 20 hours a day and my income is much lower, but it’s more secure.” His girlfriend, originally from Lithuania, also works with him.